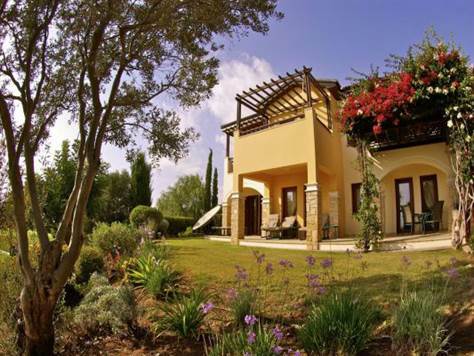 Kouklia, Paphos - This unique three bedroom, three bathroom Aphrodite Hills property is situated in a prime position on the resort with panoramic views over the 12th and 2nd holes to the sea. It is situated between Paphos and Limassol making it convenient to easily spend time in both cities and also close to Paphos airport. Pissouri is another lovely village which is just minutes away and has many popular restaurants and beaches. This luxurious villa sits in probably the most exclusive village on the resort with only 20 other residences. The interior has been finished to extremely high standards to the demands of the current owners and the property has a basement with wine cellar, laundry room and a further room currently used as a bedroom. 'Pelican Heights' (Orpheus Village) is suitable for both holiday rental and permanent living and early viewing is recommended. Please refer to MLS#: 1376 when inquiring.